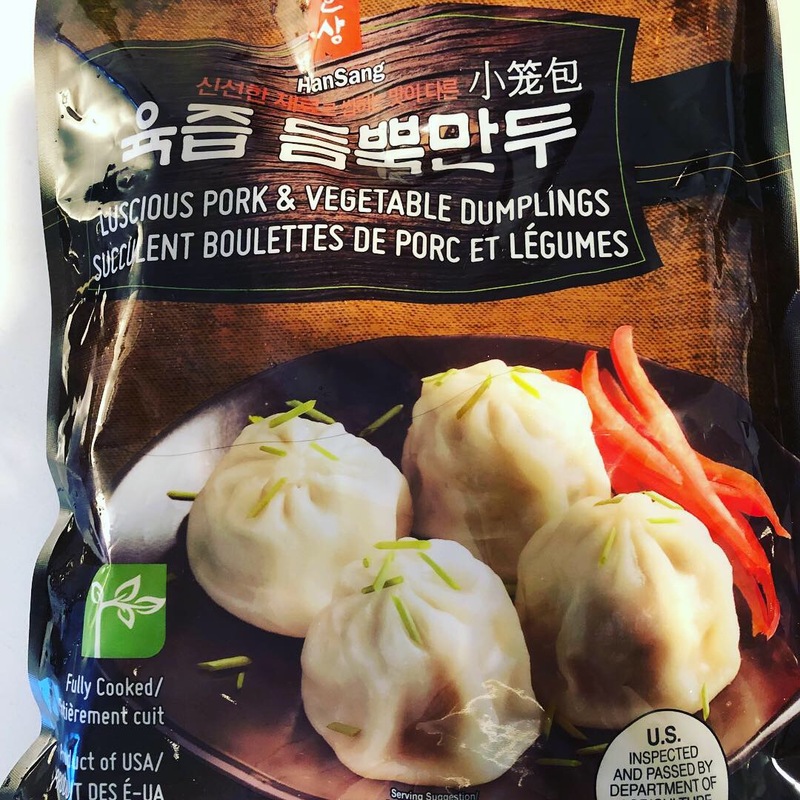 HanSang is HMart’s house brand for frozen foods and they sell a variety of dumplings under this brand. 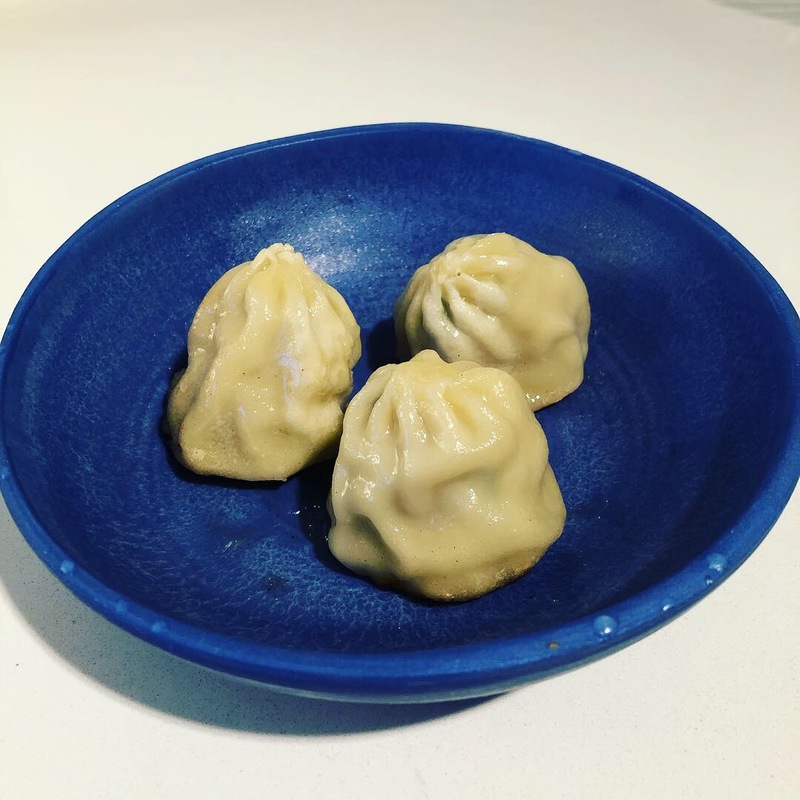 Their Pork and Vegetable Dumplings look like frozen soup dumplings and have enough juice in them that they could almost pass as Xiao Long Bao. Because of their tall shape, these dumplings are a little tricky to cook all the way through, and the directions on the bag for pan-frying them don’t really work well. When I pan-fried them from frozen as directed, by the time the bottom of the buns were crispy going on burned, the filling in the top of the dumpling was still cold. On my third attempt at cooking these bao, I went with micro-waving them first and then pan-frying them, which worked well. Once I figured out how to cook the bao all the way through they were pretty good. They had a mild savory pork flavor and enough juice that you should consider eating them soup dumpling style. 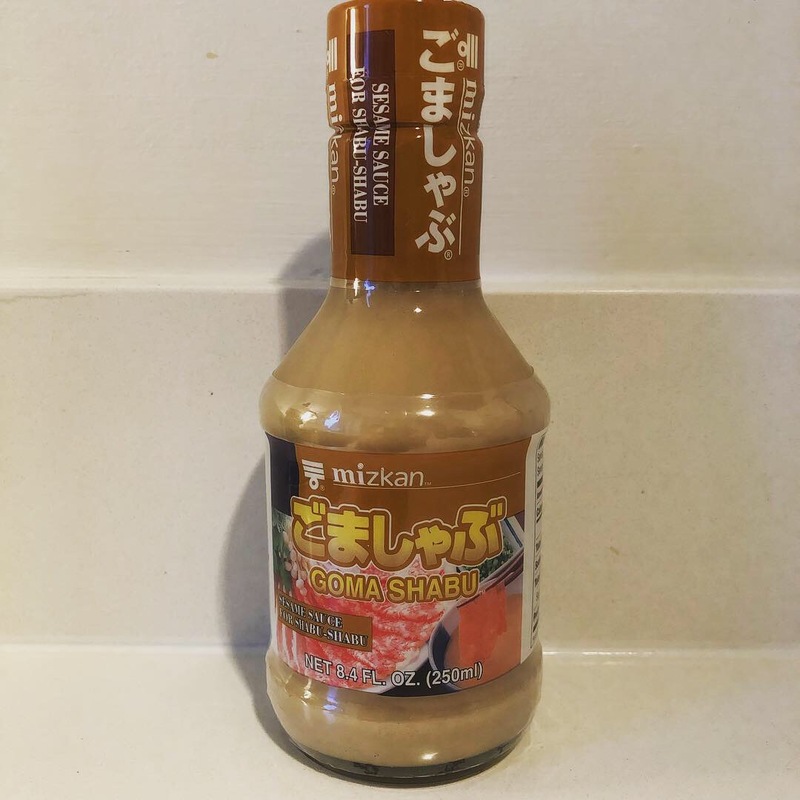 I have been on a sesame sauce kick of late, so I paired these bao with Mizkan Goma Shabu sauce which is a sesame sauce for Shabu Shabu. Unfortunately the sauce was sugary and insipid with very little sesame flavor and did not complement the pork in the bao at all. This entry was posted in Bao, Buns, Dipping Sauce, Frozen Dumpling Review, Pork, Sesame Sauce, Xiao Long Bao. Bookmark the permalink.